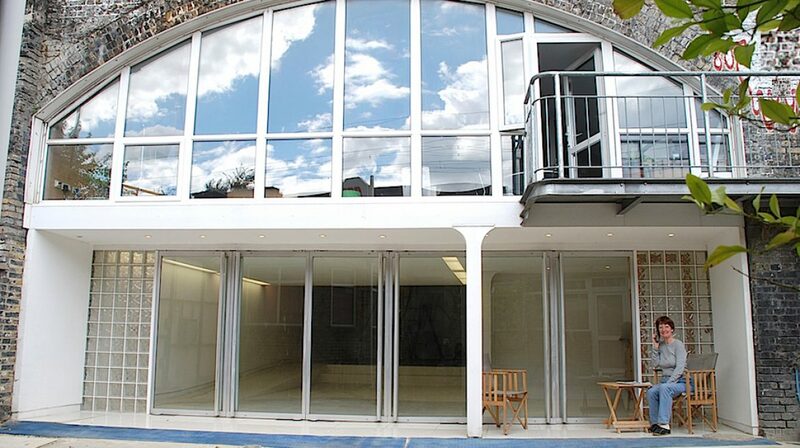 AND Association established in Tower Hamlets, 1982, specialises in visual arts practice. AND eventSpace1 is our gallery. The Association plays an active role in the development of cultural policy and intervenes wherever it can (at local, national and international level) to advance the social, economic and intellectual well-being of visual artists. We are committed to enhancing cultural and educational integration between the public and practising visual artists. Walking distance from Whitechapel Gallery, MU (John Cass). Located between Commercial Road, Leman Street, and Cable Street. Very close to Wilton’s Music Hall. Entrance is through very large pink gates. AND signage at side. Tube stations: Aldgate East, Tower Hill, Tower Gateway, Shadwell DLR and Overground.